Every week or so, we’ll be interviewing about our favorite Indie artists and shops. Find exclusive coupons for Etsy stores like this one on our Indie Coupons Tool! Thank you, Louana, for sharing about the inspiration behind eleventh monkey! Three years ago, a Dutchie and her Japanese husband vacationed in Seoul, South Korea. There was a life-changing moment where she discovered a crafty street vendor selling handmade leather monsters. 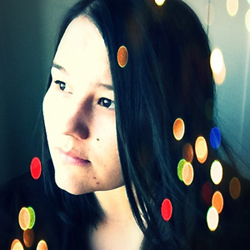 Inspiration struck immediately, and it dawned on her that she could make and sell her own stuffed creatures. That’s how Louana first dreamed up eleventh monkey. Always a creative spirit growing up, Louana taught herself how to sew from tutorials on the Internet and designed her own unique stuffed keepsakes using high quality felt found only in Japan where she was living. Where did the name “eleventh monkey” come from? Louana was born on the 11th of August in the year of the Monkey on the Chinese zodiac so it fits perfectly that her crafty business is named after her birth date. Now living in the United States with her husband, Louana continues to sew these adorable whimsical characters and has also developed patterns for sale in her Etsy shop. 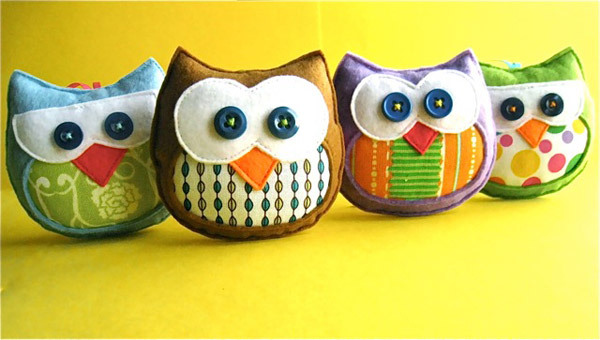 Etsy has become the ideal marketplace for Louana to share her creative felt softies with the world. Each plush that she makes is carefully stitched together by hand and by machine with quirky button eyes. They are small enough to carry with you in your pocket or hanging on your keychain or pinned to your favorite jacket. You can always count on your eleventh monkey felt plush to cheer you up wherever you go! Louana strives to use only the best materials so she refuses to sew with acrylic felt sold cheaply here in the States. She brings high quality felt straight from Japan so all her softies are sewn with the best felt that will not discolor or pill over time. Her newest plushie creations are also made with a mix of funky cool upcycled upholstery fabric for an even more unique and sustainable twist. Her attention to detail clearly makes her handmade stuffed toys special, one of a kind, and superior to other handmade felt plush. 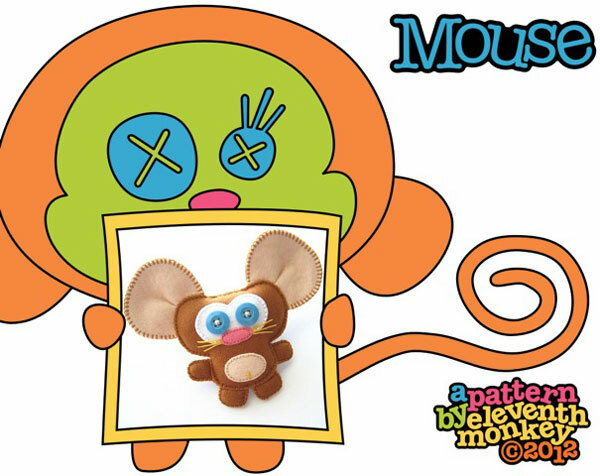 Over this past year, Louana has created two patterns for sale of her favorite plushes to sew – a Mouse and a Moose! Full of step by step photos and meticulously drawn vector diagrams, her Mouse and Moose patterns are extremely easy to follow for crafters of any level! In the future, Louana is most excited about writing more patterns to share her talent and creativity with everyone who wants to sew their own plush toys. Her dream is to write and publish a pattern book one day. Best of luck, Louana! When Louana is not sewing, she loves to dance Sambafunk with her husband and friends in San Francisco! 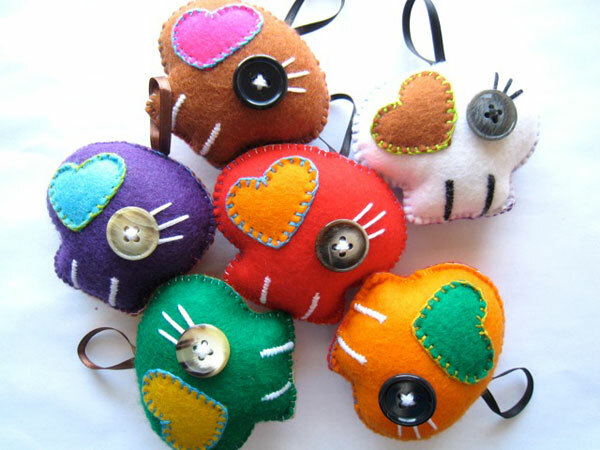 Her love of life and fun permeates through all her cute and colorful felt toys. Follow Louana on Instagram to peek into her dynamic life behind the scenes of eleventh monkey. 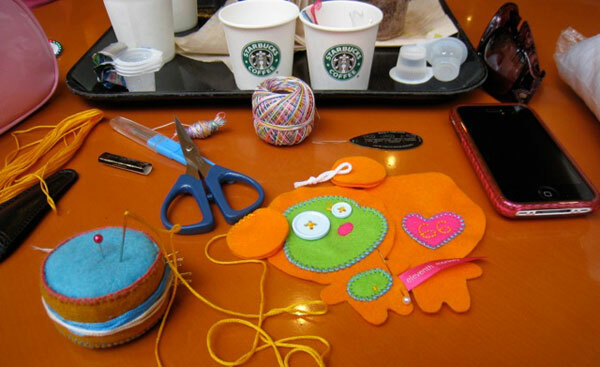 You can find her sewing her felt plushies at your local coffee shop, which she calls her mobile studio. Capture your own specially made felt plush by eleventh monkey at her Etsy shop and find her exclusive coupons on NerdWallet for free shipping in the US and extra savings! Look out for her Black Friday and Cyber Monday coupons in the future. Thank you, Louana, for sharing your story about the roots of eleventh monkey and your irresistible Felt Plush Creations! All images are used with permission from Louana and eleventh monkey.